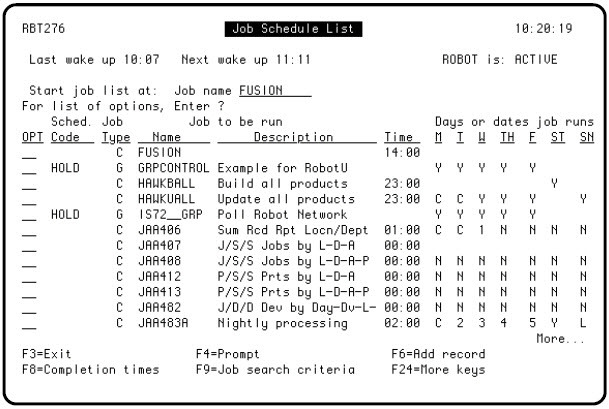 Problem: You used the learn feature in Robot Schedule to teach it to run your Fusion job. It ran fine once. The next time you tried to run it, it failed. Cause: When Fusion executes, it creates a temporary data area and file member to store execution-time overrides and selection criteria. After the report is processed, the temporary data area is deleted and the temporary member is removed. 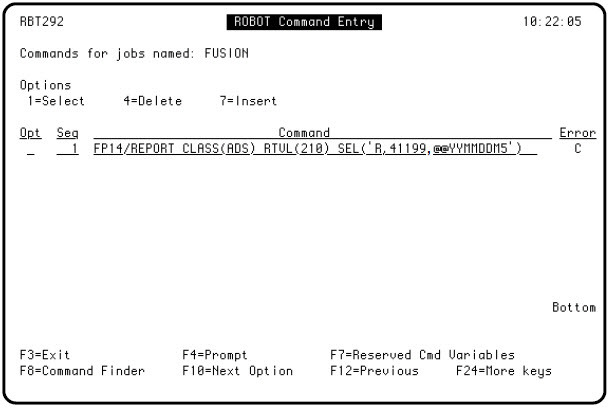 Solution: Use the Fusion REPORT command, as described below. Locate your Fusion job on the Job Schedule list. 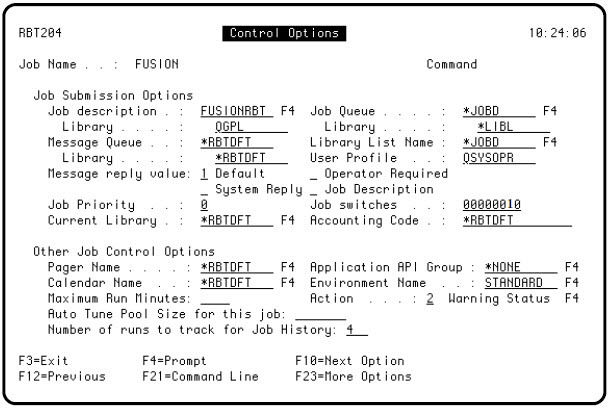 Enter option 5 to access the Control Options panel for the job. Change position 7 of the Job switches parameter to a 1. This causes the Fusion REPORT command to create the temporary data area and file member every time the job runs. Enough room for Fusion to add libraries as it is processing. Press Enter to record your choices. Then press F10 twice to access the command entry panel. Enter the Fusion REPORT command. Reserved Command Variables, which always begin with @@, can be entered in the selection criteria (SEL) parameter, as shown. This allows you to enter variable data, such as the current date, automatically. If the command is too long to fit on one line, enter a 1 in the Opt field to access the Extended Command display.